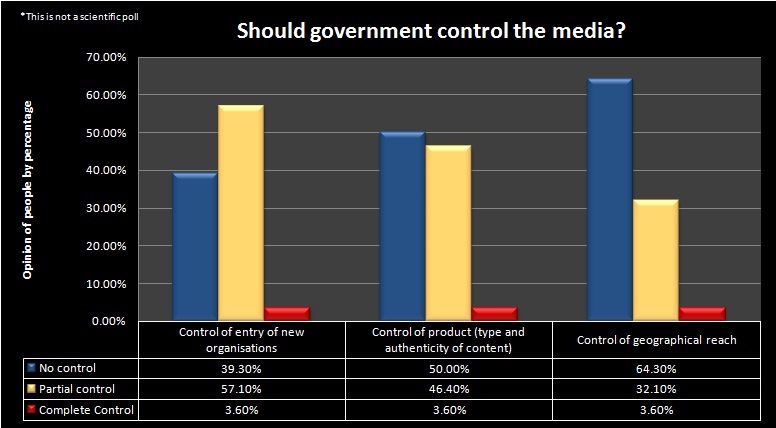 Our Saturday Poll last week was on whether the government should control media. Responses from the 28 people who took the poll suggest that most people would want a freer media than a controlled media as far as restrictions related to geographical reach and content are concerned. However, a considerable majority -57%- would like some government control with respect to the entry of new media organisations. Not surprising perhaps considering the severe public criticism that many leading media organisations have come under for bias and factual inaccuracies. But, is control the answer? How have our media laws shaped up so far and what lessons have we learnt from that? Article 19 of the Indian constitution guarantees Right to freedom of speech and expression. Right to freedom of press is also included in the right to freedom of expression. However, this right is not absolute. Article 19 (2) adds the rider that this freedom can be subjected to reasonable restrictions in the interests of the sovereignty and integrity of India, the security of the State, friendly relations with foreign States, public order, decency or morality or in relation to contempt of court, defamation or incitement to an offence. Many of the terms in this rider are difficult to define and that gives the state unlimited opportunity for misuse, which the state has been fully exploiting. The degree of freedom that media in India enjoys has gone through several ups and downs, but mostly decreasing in the last few years. Within one year of adopting the constitution came the The Press (Objectionable Matter) Act of 1951. It was repealed in 1957 but soon during the period of emergency in the reigning Indira Gandhi government, civil liberties of the citizens were snatched away, the press was strictly censored and news was strictly regulated. Though many of the basic liberties were restored when the Morarji Desai government came into power, liberal policies for the media came only post 1991. However, that trend of liberalisation is increasingly being sought to be reversed with a rising increase in the regulation of media in the last few years. There are several agencies that highly regulate the flow of information in India. The Ministry of Broadcasting and Information Technology regulates broadcasting, advertising, content, entry of new players and other such issues. The Telecom Regulatory Authority of India (TRAI) regulates and makes recommendations for the need and timing of new telecom service provider as well as control the quality for the service providers. The Press Council of India regulates and governs the conduct of the print media. The government has also been interested in excessive surveillance and controlling content of even communication between citizens, almost topping the charts for snooping in a democracy. In October 2011, the Government of India made a proposal to the UN for the formation of an inter-governmental 50-member body, a Committee on Internet Related Policies (CIRP). While the purported rationale for the idea was the need for a platform to debate and discuss policy issues on intellectual property enforcement, privacy and data protection, online filtering and censorship etc, it was also seen as an attempt by a paranoid government to control flow of content in a globalised world. The government also pursued other avenues to control sharing of knowledge and information. In 2013, Government of India sent the second highest number of requests for user data from Google and Facebook. [/pullquote]Only the US had more requests. The government has been highly controlling both the mobile and internet services. It has become common for the government to control the mobile services especially in conflict areas. There have been certain instances when news from and to different parts of the country, especially the conflict zones, is prevented to be out in public as it is considered to cause political unrest. Although, our country allows 26% of FDI in news and current affairs print media, it is subjected to strict pre conditions. Media control by the government does not end with television, mobile and newspapers. Another important aspect of government control on content comes from the Ministry of Broadcasting and Information on banning private radio channels to feature news. Even though radio is the only media that a large proportion of the country’s population has access to, news is banned on all radio stations barring the government’s All India Radio. In the World Press Freedom Index 2014, Reporters without Borders ranked India 140 out of 180 countries. In the World Press Freedom Index 2014, Reporters without Borders ranked India 140 out of 180 countries.This extremely low ranking is due to the government’s continuous efforts to condemn right to free speech in one way or the other, and also due to the numerous cases of violence against journalists (generally by police officers guided by one or the political organisation and political parties). 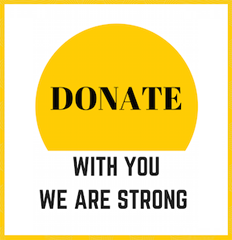 Factors considered by this are pluralism, media independence, environment and self censorship, legislative framework, transparency and infrastructure. Finland, Netherlands and Norway top the index whereas Turkmenistan, North Korea and Eritrea, three countries where freedom of information is non-existent. This clearly shows that there is a direct correlation between the degree of democracy in a country and the respect for free speech. As per the index then, though India is the largest democracy in the world, it is not the most democratic country in the world. Nor do we seem to be poised to become more democratic. At the rate at which Internet and mobile telephony penetration is growing, the number of netizens from India might outnumber US by June this year to become the second largest online community after China. It obviously follows that the restrictive policies we follow will be implemented for a much greater number of users and will affect the general internet norms. Media, often known as the Fourth Estate, acts as a watchdog on the government. It leads to awareness, increases consciousness and is one of the major agents for the implementation of the right to freedom of speech and expression. In played an important role in our national movement and has continued to play a significant role in strengthening our democratic processes. But as we move forward, it has to play the role of a regulator to the government and safeguard democracy itself. No doubt, sometimes the media is biased and might even feed to us factually incorrect stories. But, controlling the sector will only worsen the situation when agencies vie to please the government to stay in business. On the other hand, in a free and competitive environment, prejudices won’t survive for long and people will be much more satisfied when they do not have to doubt their own views. History has shown that media in the hands of a few can be dangerous. It has been used as a powerful and efficient tool by dictators to influence people and instil fear in them. That is enough reason to choose competition over government control- whether through license-raj or through cronyism- to regulate the media in our country. The poll referred to in the first paragraph is our Saturday Poll 22 that was posted on our social media on 22nd March 2014.